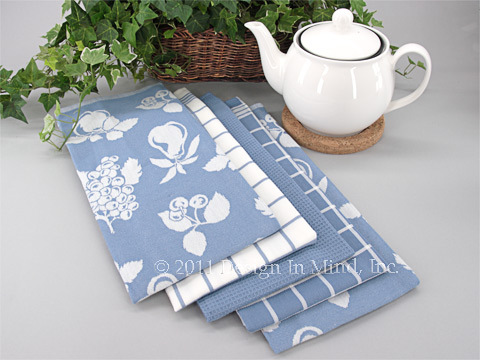 Assorted styles and patterns of kitchen linens. 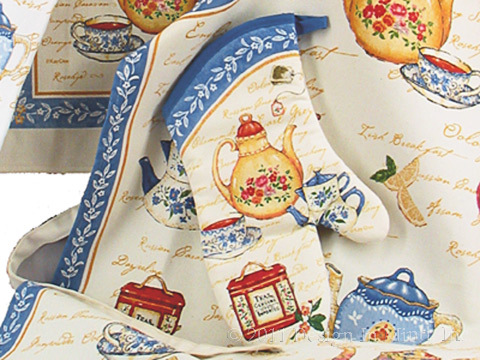 Matching items including towels, aprons, hotpads, placemats, napkins, and tea cozies. The only item left in this grouping is the oven mitt. 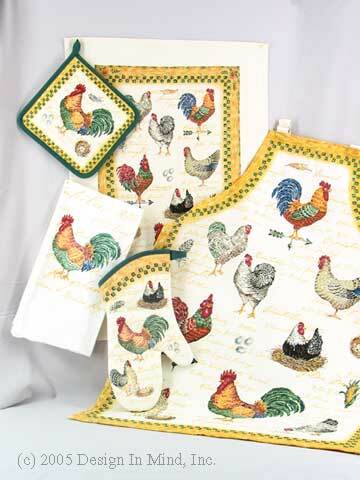 Previous items available were a 28 x 28 inch flour sack towel, 17 x 23 inch pantry towel, and cotton canvas apron. 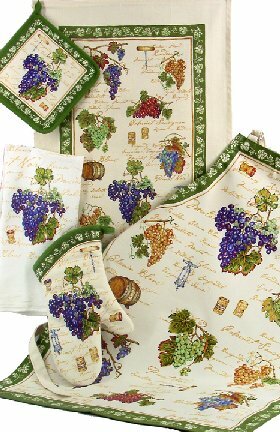 Items available in this style include a 28 x 28 inch flour sack towel, 17 x 23 inch pantry towel, oven mitt, and cotton canvas apron. 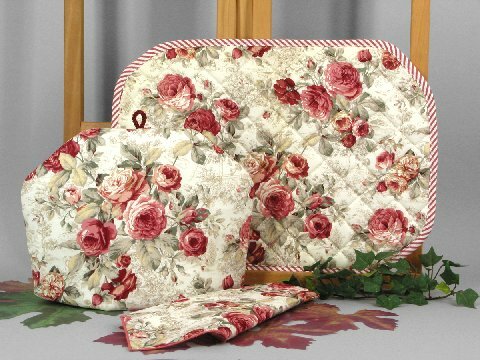 The pantry towel also comes in a two piece set with a hotpad. 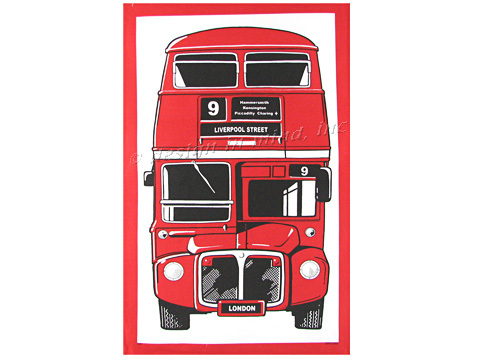 100% fine woven cotton tea towel featuring the famous London bus. Approximately 18 x 29 inches. 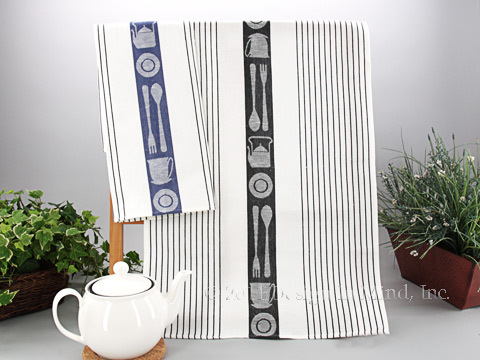 Egyptian cotton kitchen towels in blue and white. Made of 100% Egyptian cotton. Known for durability, softness & absorbency. Set includes 5 towels as shown. 28" x 18". Fully hemmed. Machine wash and dry. Made in Egypt. Swedish linen towel from Spira. Kitchen theme in deep red, black, and gray on an ivory background. Made of 100% linen. Known for softness & absorbency that increases with each washing. 25" x 18". Fully hemmed. Machine wash and dry. Made in Sweden. 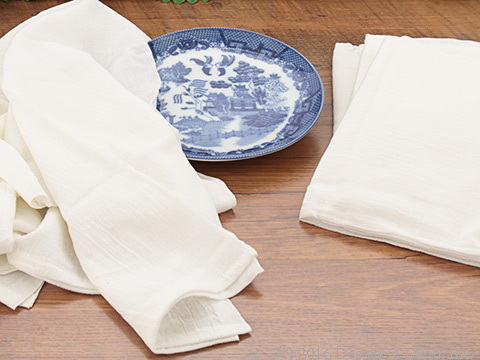 Swedish linen towel from Spira. 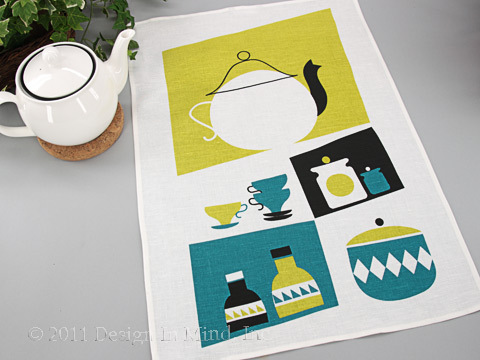 Kitchen theme in turquoise, chartreuse and black on an ivory background. Made of 100% linen. Known for softness & absorbency that increases with each washing. 25" x 18". Fully hemmed. Machine wash and dry. Made in Sweden. 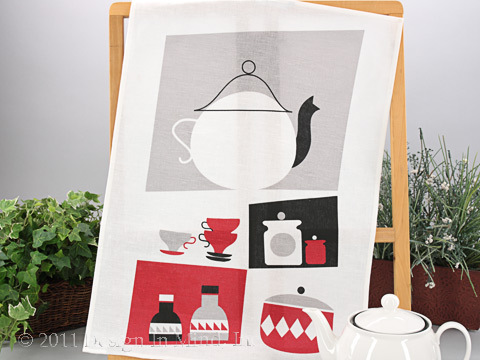 Swedish tea towel from Alme. Kitchen theme in blue with black stripes or black with black stripes on an ivory background. Made of 55% linen 45% cotton. Known for softness & absorbency that increases with each washing. 27" x 18". Fully hemmed. Machine wash and dry. Made in Sweden. 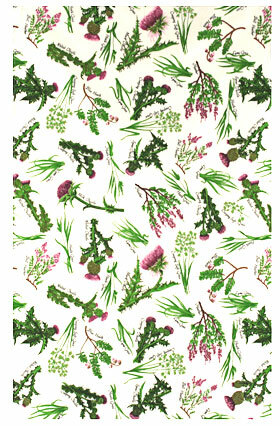 100% fine woven cotton tea towel featuring the heather and thistle in purple and green. Approximately 18 x 29 inches. 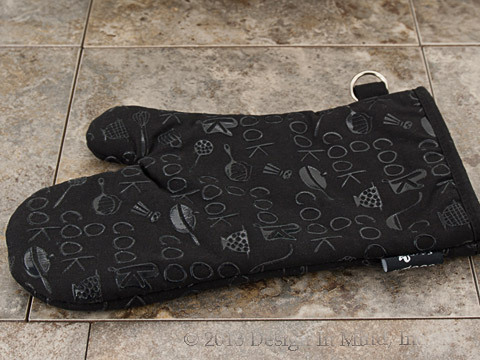 Black oven mitt is embellished with a silicone design for a non-slip grip. 100% cotton fabric. Silicone coating. Machine washable. 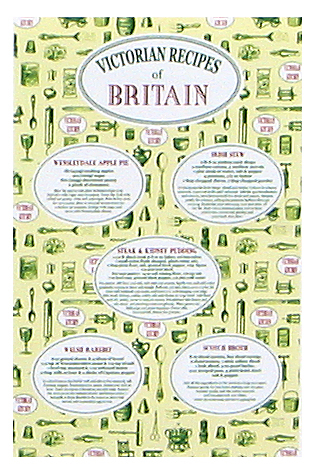 100% cotton tea towel featuring Victorian kitchen tools and supplies and 5 Victorian recipes. Approximately 18 x 29 inches. 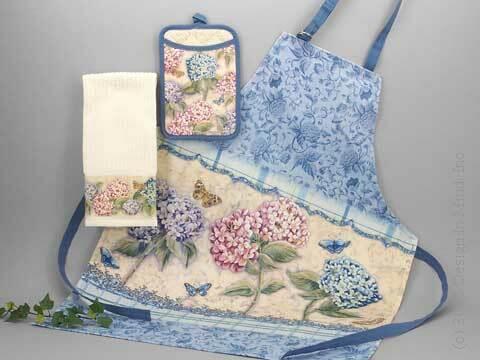 Hydrangeas items include a 16 x 26 inch terry pantry towel, pocket oven mitt, and woven poly apron. 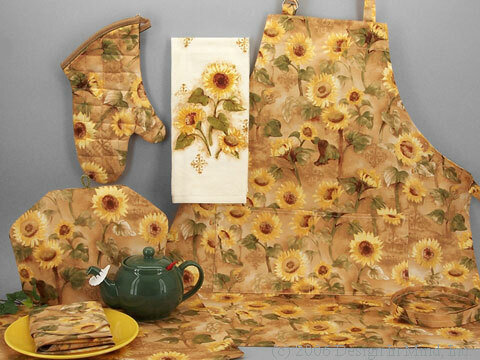 Sunflowers pattern items include oven mitt, 17 x 23 inch 100% cotton terry pantry towel, cotton canvas apron, 13 x 18 inch reversible placemat, 18 inch square cotton/poly dinner napkin, and tea cozy. 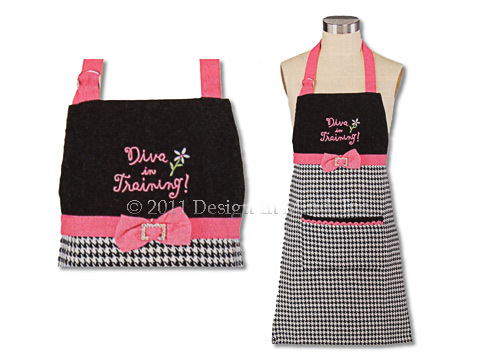 Very cute childrens black and pink apron with bow embellishment and front pocket. 24" long. 17 1/2" wide. 20" waist ties. 20" neck tie. 100% cotton except bow decor. Machine wash cold and tumble dry low. 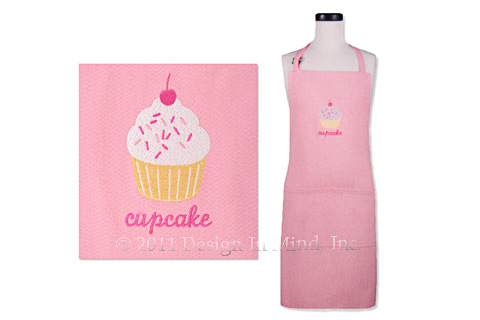 Very cute childrens pink apron with cupcake embroidery and two front pockets. 25 1/2" long. 19 1/2" wide. 28" waist ties. 26 1/2" neck tie. 100% sturdy cotton. Machine wash cold and tumble dry low.